How to get a professional moving company to move your furniture up or down a spiral staircase on your moving day. We get this question from now and then in regards from customers whom are emailing us and asking how do we get our furniture up the spiral staircase in our new home we just purchased or how will your movers get my furnishings up the steps to my second floor of the home I just purchased? The first question is to them is the first house your ever purchased that has a spiral staircase? Most all the answers are yes this is our very first home with these types of steps. 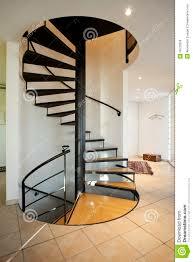 The next question is is there any other stairs that go up to the second level other them the spirals? If the answer is no then here are some solutions that we as professional movers and from our website filled with many tips to have a solution to this problem. First, if you do have small items that will fit up the spirals then get those items up first as this will be the easy part of the move and the least time consuming task for the move. Secondly, Now that you have the small items that will fit up the spirals it is time to move onto the task of moving all of those big items up the second level and we suggest that you hire a professional moving company for this task. The moving company at least the experienced ones will have the knowledge and equipment to get the big items up to your second floor. These are some solutions of how the mover will get your items up to your second level.If there is a balcony the movers can hoists all the items up there using a hoisting systems that will pull the items over the balcony and to the second level to move all items into there specific rooms. If there is no balcony then the other option would be to remove a window from the outside of the home and hoist all the big items up a hoisting system that is guided by a large extension ladder. Most windows are removable. If there is a first floor room with a flat roof on it this would be the best route to take to hoist the furnishings up onto a flat roof and then into a window that has been removed for the move. Third, If the windows are to small to place your furniture in thru after the window has been removed then your best bet would be to again, as mentioned in the first part of this tip would be to take all of the small items up the spirals that will fit first and then hire a home contractor to remove the part of the spiral and then have the moving company hoist all of the items up to the second floor level before having the home contractor return to reinstall the spirals. Fourth, When talking to the home owner of the house you just purchased from it is best to ask them how they got their large furnishings to the second level as for certain they will know and most likely to save you money if the home owner you just purchased the home from has hired a home contractor to remove the spiral to get their things down it’s best to ask them if you can split the contractor fees meaning that the people whom are moving out they will pay for the removal and you the new owners will pay the same contractor the fee to reinstall the spiral after all of your things that you want up there are up there.Finally, if you can split the cost of this task you will be better off as this will save you time. If you are moving items into a basement with only a spiral staircase then it’s recommended that you only place the items that you really want down in your basement or lower level area and if your steps have to be removed it’s recommended that your split the cost with the previous home owner about the removal and the installing again of the spirals. If there is an outside entrance like a door then use that entrance. 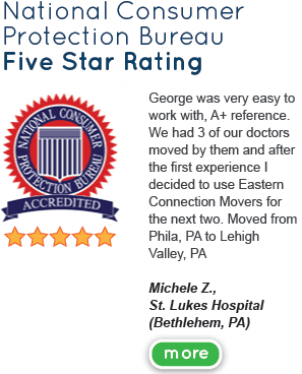 Make sure that your moving company carefully blanket wraps all items that need to be hoisted to insure that your move is a good experience and that there is no damages to the furnishings nor the walls. This article was written by B. Rodgers an employee for Eastern Connection Movers .